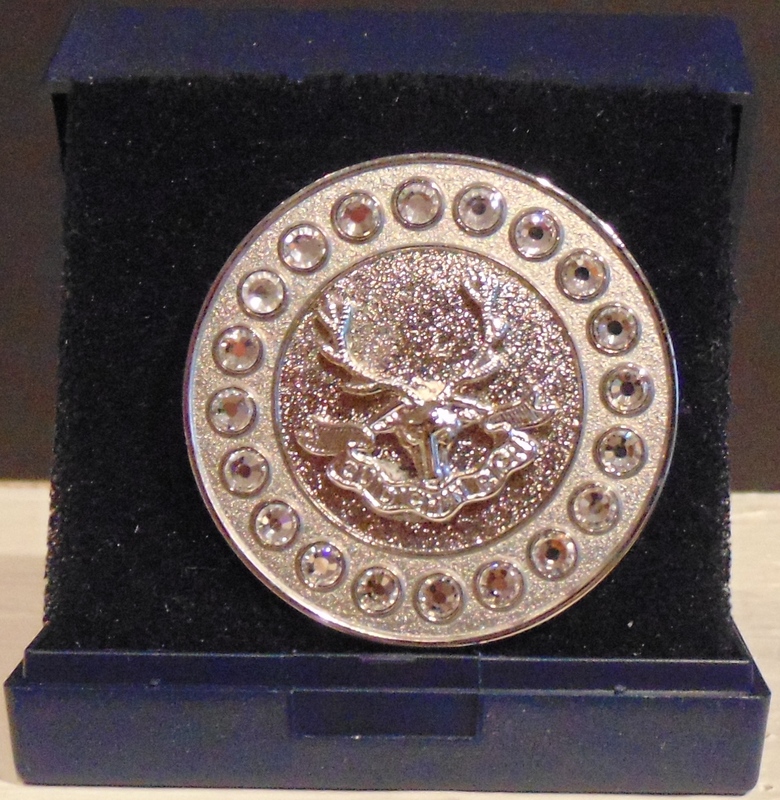 Ladies brooch with The Seaforth Highlanders crest in centre. The crest is surrounded with clear stones. The brooch is 4cm approx round. 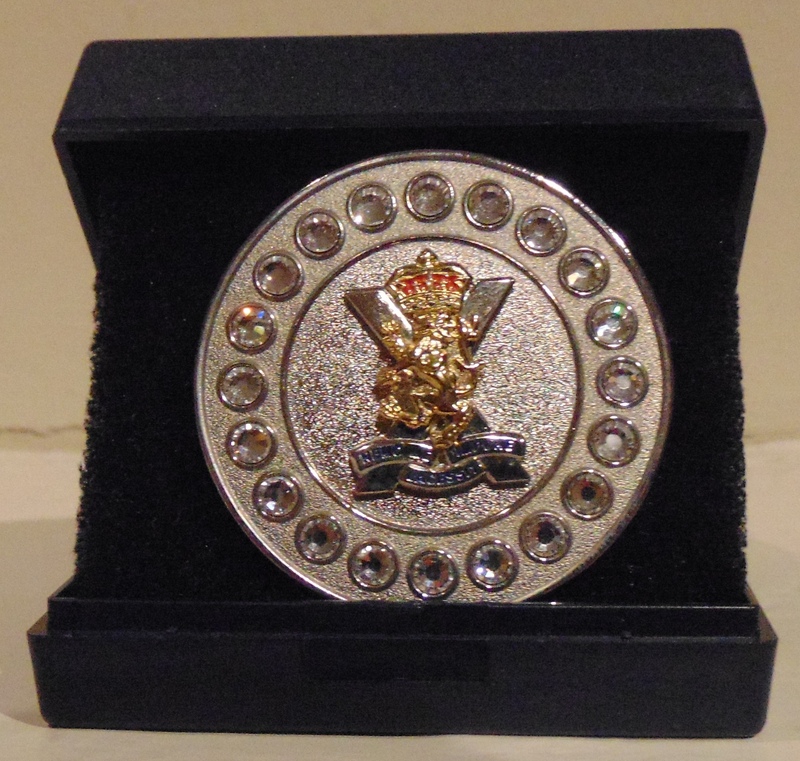 Ladies brooch with The Royal Regiment of Scotland crest in centre.